These 20 delicious international dishes shortlisted from a hungry traveller’s wanderings around the world will leave you drooling – and looking for the next flight deal you can find! When I look back at the countries I have been to (and my expanding waistline), I realize that I have sampled a fair number of International cuisines. Some I have been so enamoured by that I have waited in serpentine queues to eat the same dish again and again. Some of these dishes I have attempted at home with my own twists and turns and have been fairly successful at creating edible food. A few of these dishes have strong memories associated with them of friendships, journeys, a grateful stomach and sometimes they are also a reminder of tough time. This is my round up of 20 International dishes that I cherish and have been an important part of my journeys. Injera is a pancake/dosa made of lentils and some other magic. It is an important part of an Ethiopian meal which is usually shared by 3-4 people on a big plate. The plate would have the injera in the center and the different gravies, curries, chicken and vegetables on the sides. I came across Injera for the first time in New York and have been a fan ever since. Baklava is a fluff pastry with sweet almonds, pista and goodness all the way from Turkey though there are other countries that also claim stake to his sweet and melt in your mouth wonder. Cassava is a leafy vegetable used in many African dishes, I was introduced to this dish for the first time in Washington D.C by a friend who had this dish pegged as an absolute favorite. Casava root is also used in dishes made in Kerala but quite differently. Imam Bayildi literally translates to the ‘Imam fainted’ and has many Turkish folk stories revolving around the dish. This is one of the dishes that was simple enough for me to try at home and the results were delicious. The recipe calls for eggplant, tomato and a fair bit of oil. 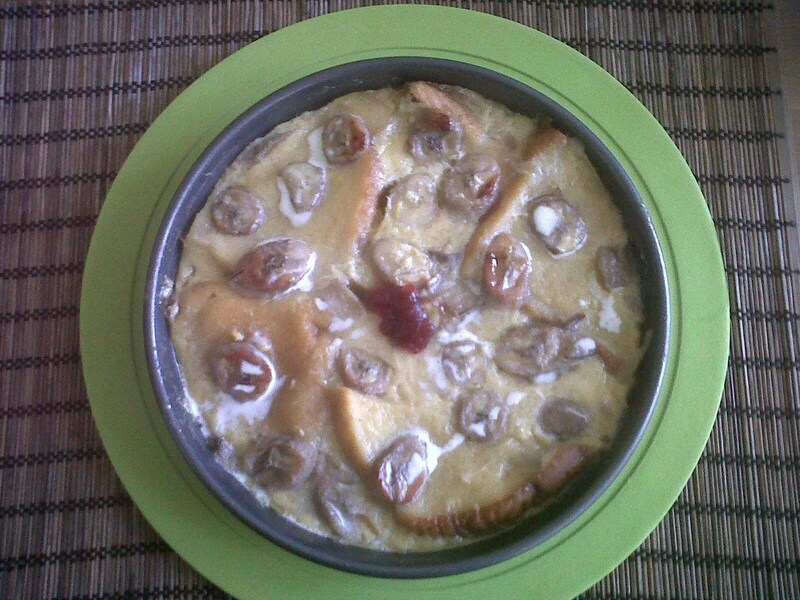 I used an oven for a healthier version of Imam Bayildi and have been dying to try my hand at it again. Kabsa is a brilliant dish from the Middle East, it is actually a family of rice dishes that also includes biriyani. I tried my hand at making Kabsa once as all I had in the pantry was some rice, chicken and some spices. The final dish was an absolute hit, I did make some alterations to the recipe by adding grapes instead of dry fruits and roasting the chicken in the oven before adding it to the rice. This was one recipe for the books. This is one dish that is a must every non vegetarian visiting Philadelphia. The best place for a cheese steak is Jim’s on South Street. It is dripping with cheese wiz, fried onions and steak that is cut up and wrapped in bread. It is a great meal that complements a night of partying on South Street. Arros Con Pollo very simply means rice and chicken in Spanish. It is a Mexican dish that I absolutely adored and the best I have eaten yet is at a small restaurant that I used to frequent in Conshohocken, PA. They absolutely knew how is serve up some rice and chicken with all the accompaniments of a complete Mexican meal. Churros is another Mexican recipe that has become quite popular in the western world. It is a a sweet fried snack that is typical of fairs and food stands in Mexico and the US. This deep fried dough covered with powdered sugar has its variations in India and China. Kung Pao Chicken crossed the Himalayas and entered the Indian palate a while back. This dish has its origins in the Sichuan regions and traditionally calls for the use of Sichuan pepper which has a numbing sensation to it in the recipe. Sichuan sauce is quite strong with a generous dose of red chilli in the preparation hence giving the Kung Pao Chicken its popularity. 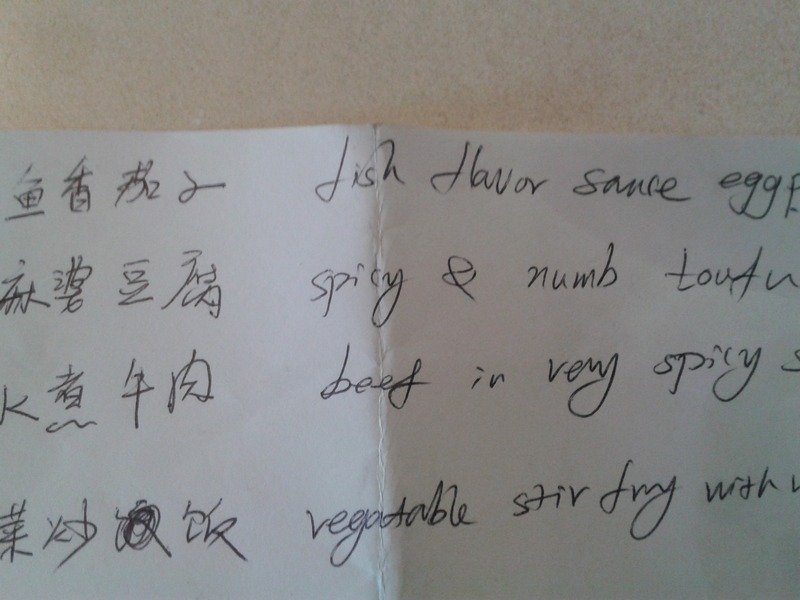 This was a dish that our guide in China recommended to us and it was a hit. She wrote it down for us so that we wouldn’t get our order wrong. It was yum and the realization that eggplant/brinjal could have so many delicious possibilities was affirmed. 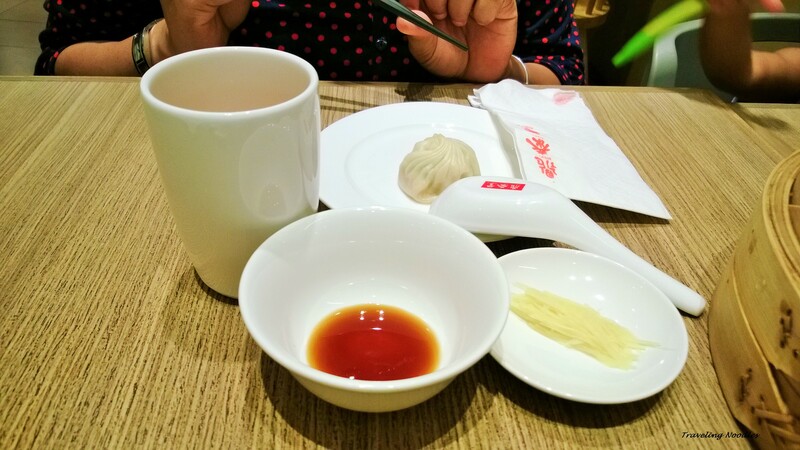 Din Tai Fung is a chain of restaurants that have taken the simple dumpling and made it a work of art. The xioa long bao is a little parcel of surprise that is painstakingly perfected in the kitchen. This dumpling is filled with meat, vegetables and soup all packaged in one mouthful. A lesser known fact about dumplings was that it was a preferred food item on the old silk route in China. I got acquainted with Mofongo on my trip to Puerto Rico. This dish is simply plantains, meat and vegetables. It is a power packed dish and quite unique in taste. If you are ever traveling to the Caribbean, you should definitely order one for the table. Roti Prata is Malaysian in origin and is closer to home (i.e India) in terms of taste. The dish is a thing flat bread or roti and it is served with a gravy made of coconut milk and spices. I seem to have an affiliation towards combinations of chicken and rice but this was one dish that captured my imagination completely. It is quite easy to make as well and I have tried it out in my kitchen. This simple dish is made of poached chicken and rice cooked in chicken broth, ginger, sugar and pandan leaves. Katong laksa is nothing but yumminess in a bowl! Laksa should be had at an authentic place as far as possible because the dish flirts with some strong flavors that needs to be balanced by a good chef. Laksa is a melange of different seafood, coconut milk, fish sauce, fish cakes, etc. Try a bowl of laksa at Holland Village Singapore if you ever plan to go there. Kothu Paratha is a very resourceful dish as it is a great way of making the previous nights chapatis and parathas taste amazing with a twist in the recipe. The first time I had this dish was in Sri Lanka, it was only later that I realized that kothu paratha is popular in Tamil Nadu as well. This dish was so prominent in Sri Lankan cuisine that even KFC in Sri Lanka had its own version. Pad thai is another great mixture of ingredients that leaves the tongue wanting for more. Pad thai is flat noodles, peanuts, lime, fish sauce and a couple of other amazing thai ingredients that catch up to make pad thai. This is a dessert that comes all the way from Thailand. The recipe is very simple like most thai recipes but it makes for amazing taste. The recipe calls for a specific type of rice to be cooked in milk and sugar and served with a slice of ripe mango. This recipe is perfect for Thailand as Thailand seems to enjoy mangoes throughout the year. I firmly believe that nothing can go wrong as long as you have cheese cake. Though I must admit that I was a cheese cake skeptic till I tasted the creamy richness of a New York cheese cake and I have been a convert ever since. 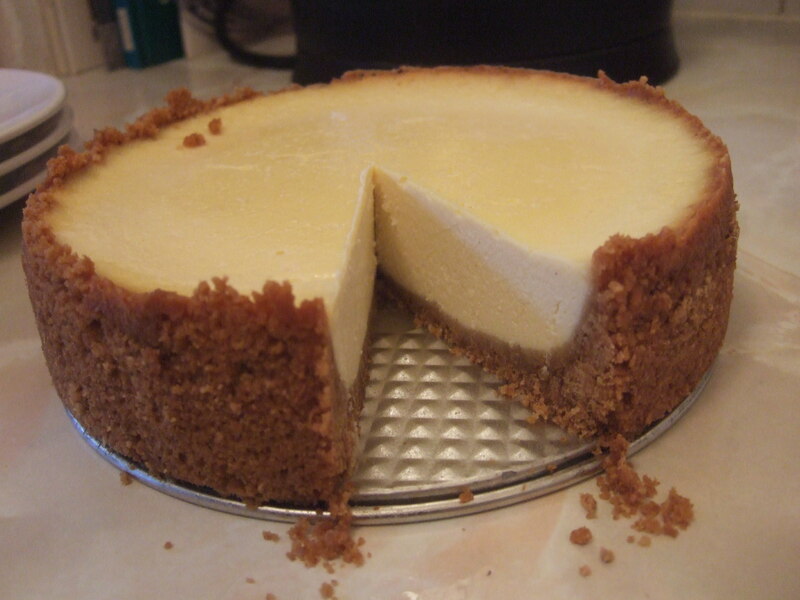 I am told that it is an easy recipe with all the right ingredients and I might just whip up a cheese cake one of these days. This is a dish that I first made myself and the fell in love with. As opposed to the cheese cake which has some hard to find ingredients, Irish banana bread requires ingredients that you would find in you pantry everyday provided that you are a bread eating, banana munching and rum loving pirate. It also calls for some oven and baking action but it is completely worth the effort.